As in the last example, a series of Wild Cards can be played from your hand as long as you play only one Number Card from your hand. 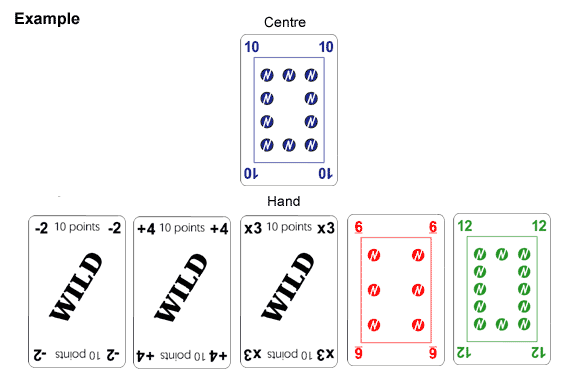 Introduce other Wild Cards such as division, multiplication, fractions etc. as you become ready for greater challenges. you then take with the 6, all in one turn, winning five cards, but still using only one Number Card from your hand.